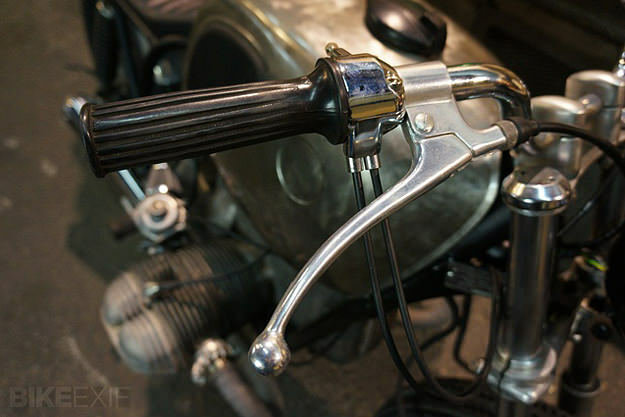 In the 12th arrondissement of Paris, home to the Bastille opera house, is a small workshop called Clutch Custom. It’s one of those places where you can buy old components, get a custom part machined up, and occasionally buy a complete motorcycle. 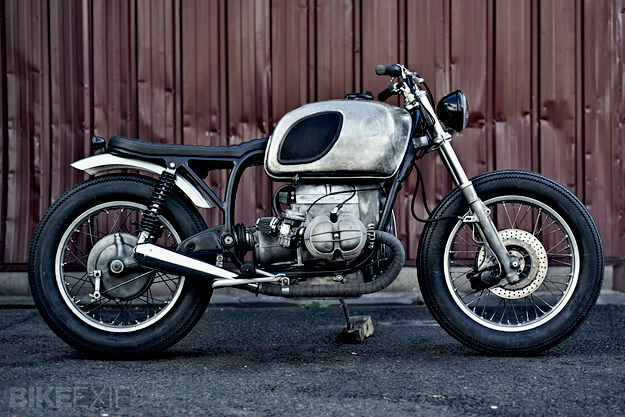 This is the latest bike to roll out of the shop, a mid-70s BMW R75/6. It’s a raw but elegant machine, designed for the rough-and-tumble streets of the French capital, where bikes collect scratches and parking tickets in equal measure. 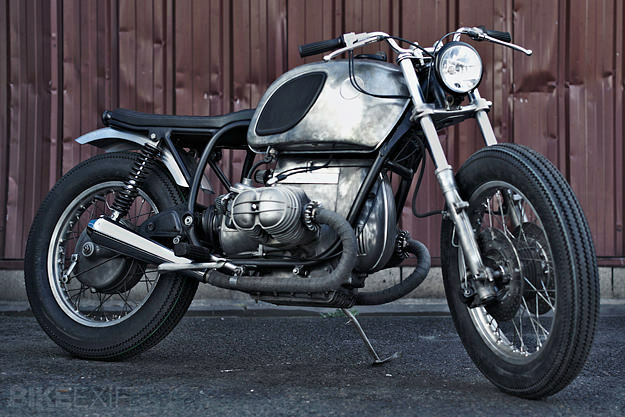 The modifications on this BMW are extensive, despite the burnished, mechanical look. The frame, swingarm and forks have all been reworked, and the bike has been lowered at the front to improve its stance. The engine and 32mm Bing carburetors have been rebuilt, and K&N filters and a custom exhaust free up the breathing. Although the R75/6 is around 40 years old, it’s unfettered by emissions controls: straight-line performance is similar to modern retro roadsters such as the Triumph Bonneville and Moto Guzzi V7, and ample for the twisty streets of the French capital. 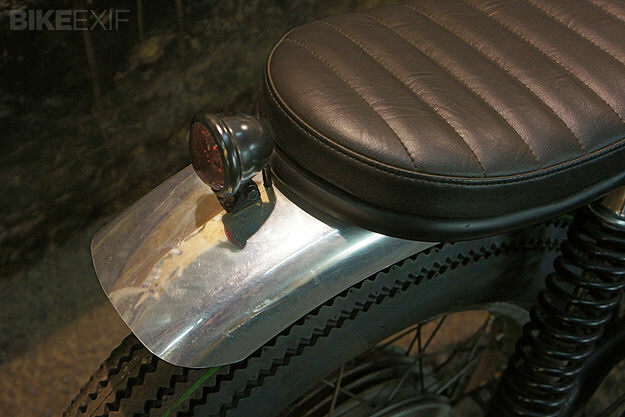 The seat is hand-made but the tank is original—and judging by the kneepads, it’s the optional 5.8 gallon (22 liter) item. The wiring is new, hooked up to an LED Bates-style taillight and a Bates headlight. The levers are Tommaselli. There are more images on the Clutch Custom website, which is in English. Prices are reasonable, we’re told, and the BMW is for sale. 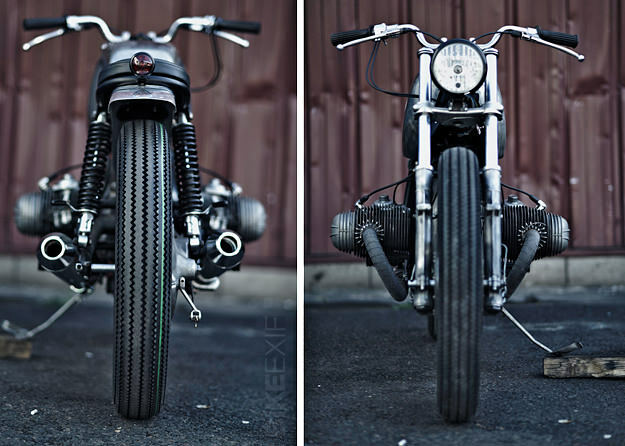 Via 4h10, which has some great shots of the Clutch Custom workshop. Merci à Nico et John.